Located conveniently just northwest of Houston, within 15 minutes of downtown and 5 minutes of Memorial City Mall/City Centre, Dr. So's priority is your smile. Our entire team is dedicated to providing you with the personalized, quality dental care that you deserve. With 17 years of experience, Dr. Bill So and his staff welcomes you to experience dental care that would exceed your expectations. One of our major commitments is to serve our patients by providing information that helps them to make informed decisions about their oral health needs. This website is a resource we hope you’ll find both useful and interesting. You can learn more about our practice, dental conditions and treatments, dental recommendations, and more. Give us a call if you have any questions or would like to schedule an appointment. You may also use our online appointment request form to schedule your appointment. LIKE, FOLLOW, SHARE, AND GET UPDATES & SPECIALS ON OUR FACEBOOK AND INSTAGRAM!! 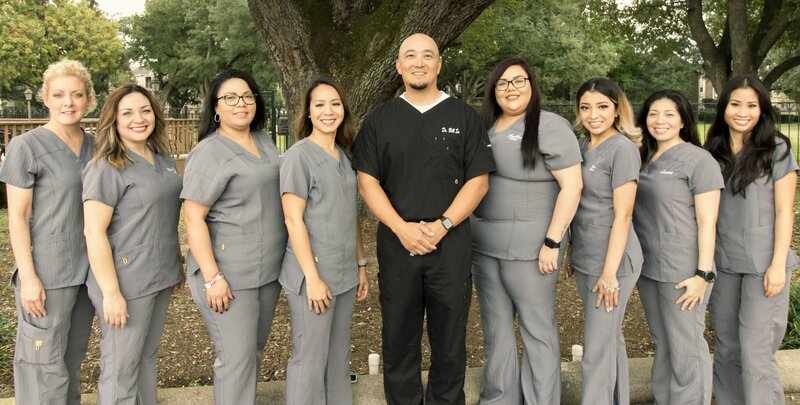 Houston Dentist, Dr. Bill K. So is a dental professional dedicated to General, Family & Cosmetic Dentistry such as Dental Exams, Cleanings, X-rays, Fluoride, Dental Makeovers, Teeth Whitening, Veneers, Crowns, & more. Please come and visit Houston, TX dentist Westway Park Dental.